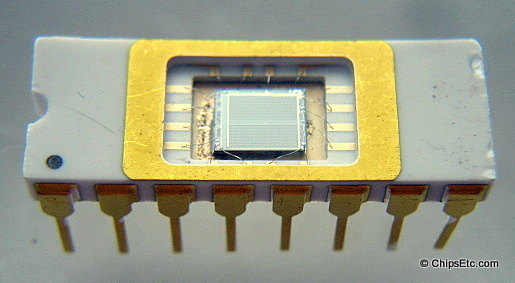 The SRAM (Static Random Access Memory) chip is a "volatile" (it looses its stored data when the power is turned off) form of semiconductor computer memory. The difference between SRAM and DRAM is that where DRAM must be refreshed constantly, SRAM stores data without an automatic refresh making it alot faster than DRAM. SRAM memory is composed of an array of cells which each are composed of a group of transistors. 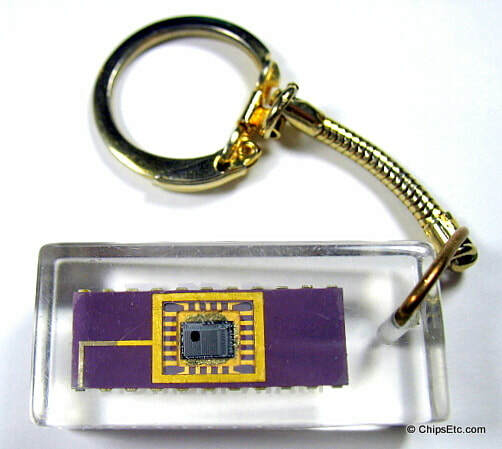 Each memory cell has the capacity to store 1-bit of data. Today's SRAM cells are composed of six CMOS transistors making them less dense and more expensive than the two transistor DRAM memory. The SRAM was invented at Fairchild Semiconductor in 1964 by an electrical engineer named John Schmidt. It was a 64-bit MOS p-channel SRAM. Intel released the first SRAM chip, the 256-bit Intel 1101 in 1969 . 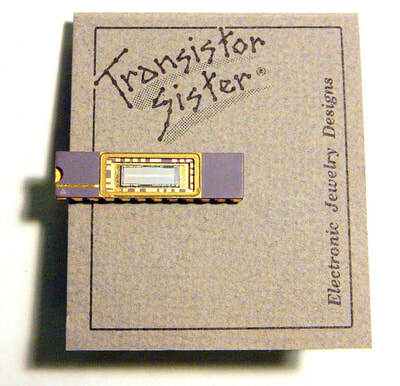 It used Schottky TTL (Transistor–Transistor Logic). Intel would go on to release the first DRAM memory chip, the Intel 1103, the next year in 1970. 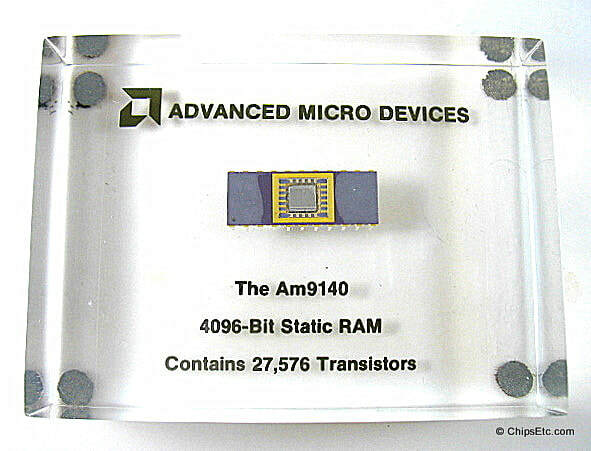 Early SRAM chips were manufactured in ceramic of plastic DIP packaging (as seen in the image of AMD's first SRAM). 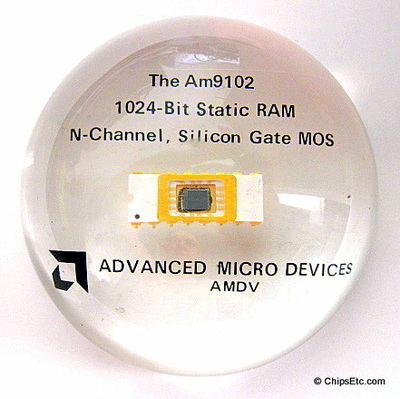 Today, SRAM memory is integrated directly into a Microprocessor chip as on-die RAM or cache memory which helps to speed up the processing of data thru the processors CPU.